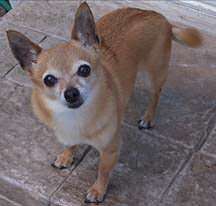 Around February, our little Chihuahua had some type of seizure that was a mystery to us. About 2 weeks after this, she had another one – much more severe. At the time, we thought she was choking and ran her to the vet. But after we arrived, she seemed fine. Then another seizure took place even more severe than the ones before. This was around the first week in April. So we took her to another vet to get a complete evaluation, blood work, urine, the works. He told us these seizures could possibly get worse. He recommended putting her on Phenobarbital. He told us there were side effects and that she may not act like the same dog. He advised us that this drug may help control her convulsions better, but with no guarantees. 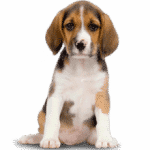 We were not willing to accept this prognosis nor were we willing to place our pet on barbiturates. 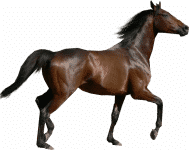 I researched many websites to see if there may be an alternative and found NZYMES (Nzymes.com). I must say that your staff was extremely helpful and seemed genuinely concerned about Baya and her condition. We made some drastic changes in her diet, especially after finding out what is in most dry dog foods and how they are prepared. Many things I read horrified me – to say the least! We started her on a raw diet mixed with holistic kibble. We changed her water using water filtered by reverse-osmosis. No more tap water! (Chlorine is the concern) Started her on NZYMES® Antioxidant Treats according to the directions. And, also started her on a regimen of Daily Greens. She also gets raw kale in the evenings. Since we made these changes and added the NZYMES® to her diet, she has not had a single seizure or spell in 4 months, since April. She is more alert, her eyes are brighter and overall the difference is remarkable! She started acting almost like a puppy again, VERY amazing! Our family did not expect Baya to get better, but happily, we were wrong. We will give her NZYMES® for the rest of her life, and pray she will not have another fit. But so far, the vet has been wrong. Thank you for your product. 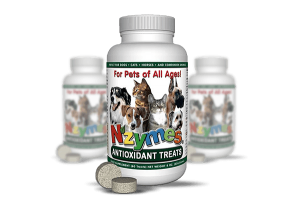 I have referred many of my friends and family to try NZYMES®. During a re-order conversation with Ms. Sanders, she commented, “Baya has had no further seizures since having the Antioxidant Treats in her diet regularly”.